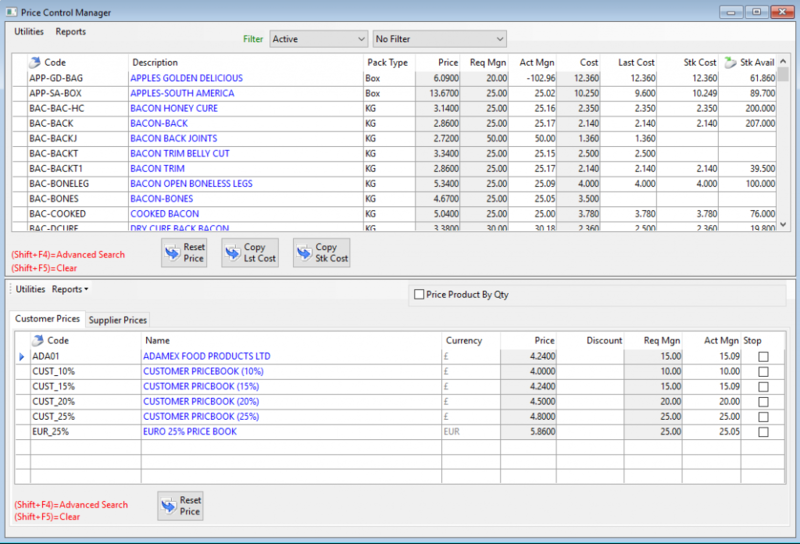 New for version 17, we have revamped and added to the Price Control Manager under Price Management in Season Office. Introducing the dual grid view system. This presentation makes navigation and making amendments even faster as more information is available on screen at one time. You no longer need to switch between tabs for every price category i.e. customers, suppliers, promotions etc. Dealing with pricing can often look intimidating with the amount of numerical information on screen. To aid with that perception we have removed the action buttons from the native view and added them to a simple right click instead so you can still complete tasks like starting a promotion, resetting a price, check stock batches easily without cluttering your view. New added filters help you pinpoint the exact information you need. As well as our standard Cost not equal to last cost/stock cost and to show prices for stocked items only we’ve also added a promotional prices filter to view promo pricing exclusively. They will also be highlighted in yellow in the standard prices list to make them easily identifyable.